These very decorative matched pair of Art Deco powder bowls have tiered lids, the alternating tiers being black lacquered. 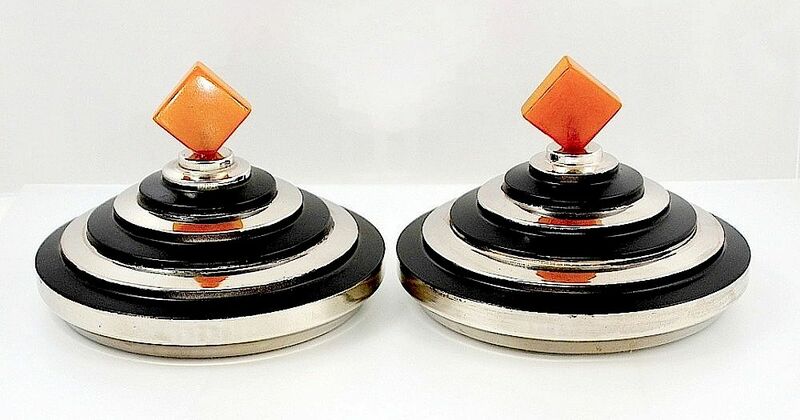 Each lid is topped with a butterscotch bakelite loped triangular finial. Ideal for the bathroom, the bedroom or the lounge. The above price is for the pair.